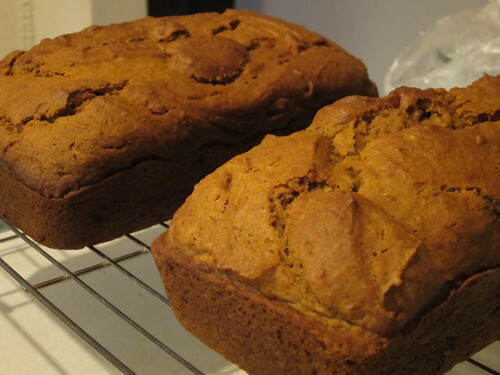 I’ve been craving pumpkin bread for awhile now, and even had a can of pumpkin puree stashed away in the pantry from last year. Hey, I learned my lesson last year when I wanted to make pumpkin bars, only to find no grocery store around had any canned pumpkin! There was a pumpkin shortage, which I’ve heard is continuing this year. 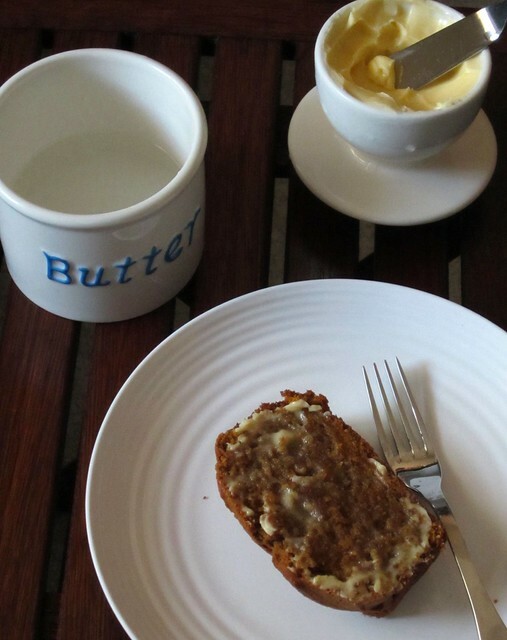 So I made my bread, enjoyed the first loaf, and socked away the second loaf in the freezer. I also bought an extra can of pumpkin from a dwindling grocery store supply, just in case. I have to say, the first loaf did not stick around very long, and I suspect the second won’t either. Preheat oven to 350°F. 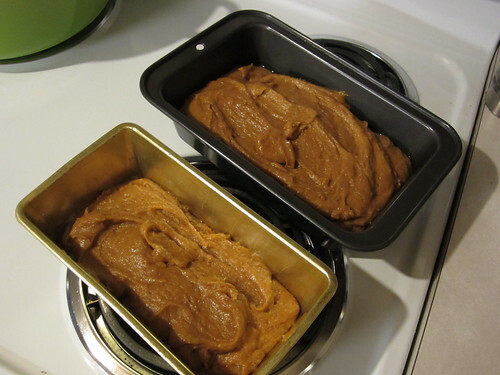 Spray two 9x5x3 or 8×4.5×3-inch loaf pans with cooking spray (or butter and flour). Stir sugar and oil in large bowl to blend. Mix in eggs and vanilla, then stir in pumpkin. 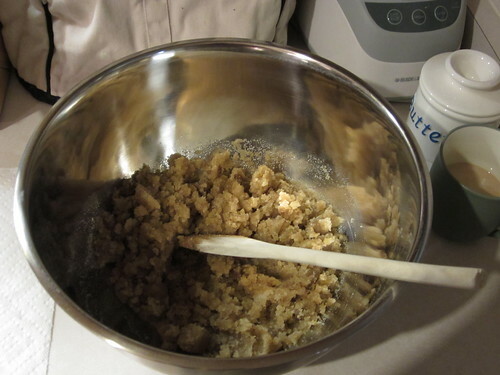 Sift flour, cinnamon, baking soda, salt and baking powder into another large bowl. Stir into pumpkin mixture in 2 additions. Do not overmix. 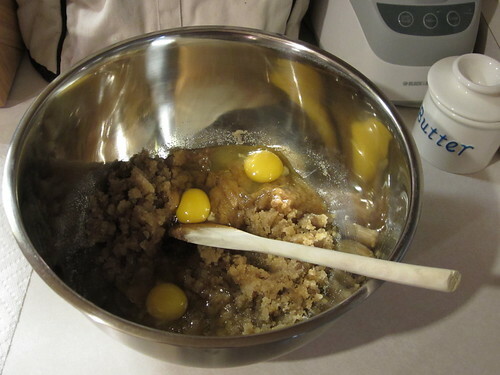 Divide batter equally between pans. Bake until tester inserted in center comes out clean, about 55-65 minutes. Transfer to racks and cool 10 minutes. Using a knife, cut around edge of loaves. Turn loaves out onto wire racks and cool completely. 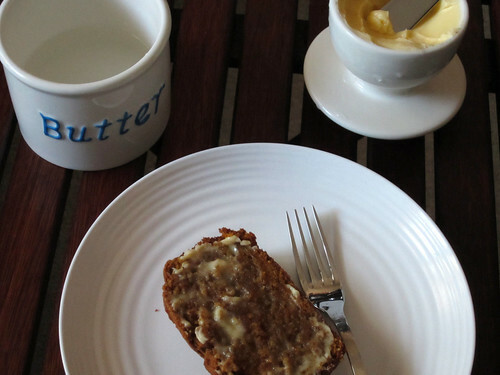 Sounds easy to make, looks delicious, count me in ! 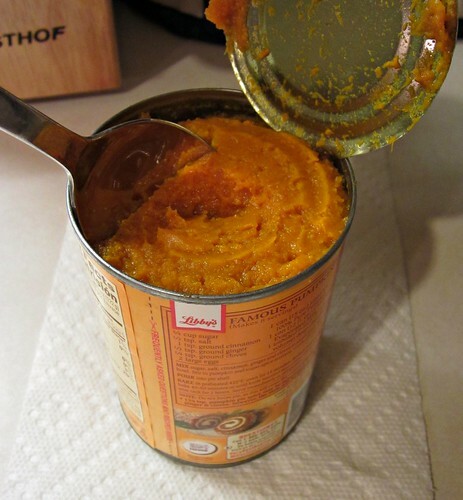 Will make a mad dash for the canned pumpkin when I shop today. Oh no – the shortage is continuing? I heard the exact opposite (except for a CARVING pumpkin shortage, which isn’t the kind that gets canned) so I’ve been dipping into my stash from last year with the intent to replenish right away. Not happy if that’s the case!!! Colleen, I heard the bit about the shortage once on the news, but not since then. Let’s hope they exaggerated!